Egyptian Tree Onions – pardon? We had some gorgeous autumn days last week which inspired me to haul out the remaining chillies from the raised bed where the onions and garlic are going. The chilli plants were then hung to dry in my garden shed .. .complete with chillies too of course! I haven’t tried this technique before so it will be interesting to see what transpires. Saturday was wet and dull not a day for the garden, but Sunday was perfect to prep the bed for the new arrivals. So on hands and knees I removed the rest of the weeds and some tired looking calendula and alyssum. Dug out geraniums, salvia and parsley and replanted those in the insectary. Next up, we used the broad fork to aerate and lift the soil. 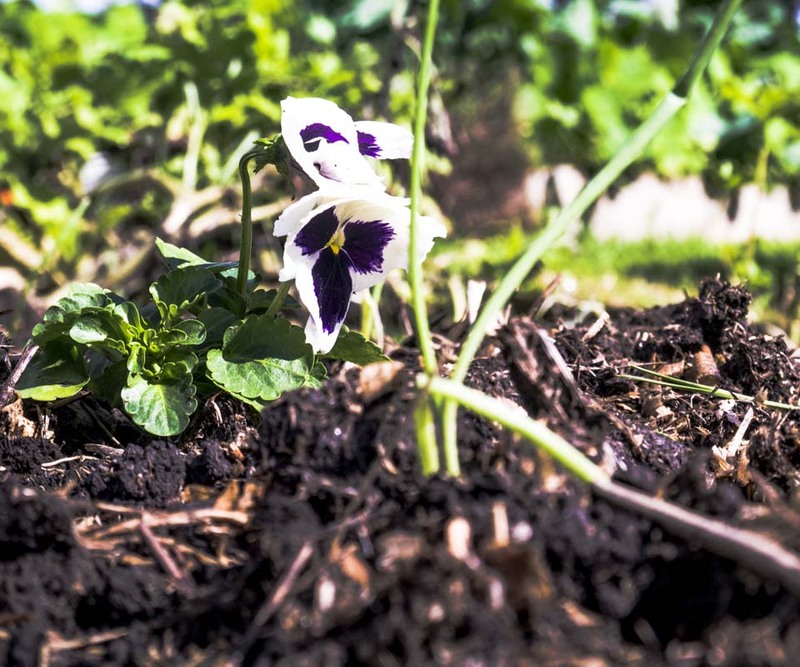 To be honest, I would much rather not use this tool as I love the ‘no dig’ garden method – but as we had such a long dry summer the soil was a tad compacted and needed some aerating. So after a mini lift (so to speak) we threw in well composted horse pooh, gave it a rake and hey presto … time for the planting. I had purchased some Egyptian Tree Onions which look much like a shallot, but are actually a miniature onion. I haven’t grown these before but apparently they are delicious, self propagating and a hardy perennial. They are also known as ‘walking onions’, which is because instead of growing a flower at the end of their stalk they grow a cluster of bulblets. These bulblets due to their weight, will cause the stalk to topple over allowing the small bulbs to take root and form a new plant. Pretty ingenious I would say! So 20 of these bulbs were planted in holes approx 5 cm deep and 15 cm apart. Next up and again something new in my garden Printanor garlic, which is a commercial variety I believe originating from France. How good is this garlic growing that I planted a few weeks back? I wasn’t going to plant more garlic and certainly not in this bed as there was garlic in here last year. But I couldn’t help myself. So 25 cloves were poked into the rich organic soil. I always plant my cloves by leaving the top poking out of the ground (think half in half out), works a treat … only problem is that the birds have something to ‘yank’ on. Important to give them some breathing room too so I plant each clove approx 8 – 10 cm apart and between each row (well, I try too!) Garlic don’t like weeds and sadly the use of horse pooh in this bed will no doubt introduce weed seed, but hey that’s gardening for you! 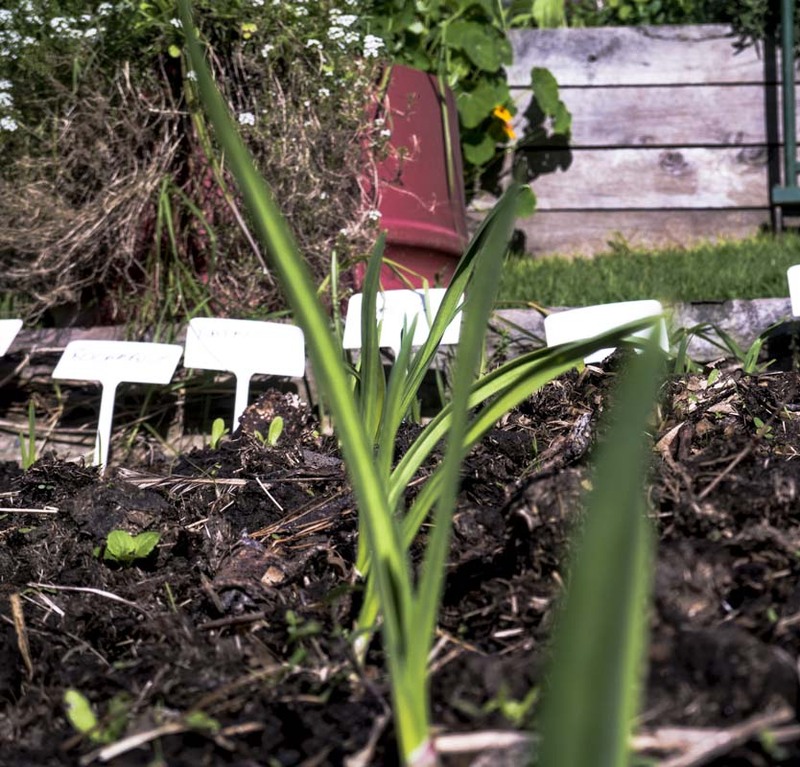 Your garlic will take about 6 mths to grow so you should be eating them around Christmas time. Lastly I bought some red onion seedlings … which I laid carefully on the soil prior to planting to get my spacing correct. I always over plant so this does help. So with approx 15cm between each seedling and about 20cm between each row, I dropped the seedlings into holes average depth about 5 cm. Next up, I carefully tucked them in ensuring that there was ample green stalk well above the ground. Its going to rain later today .. so I’ll let nature do its bit for me. As for soil amendments, I’m going to throw about some woodash, rok solid (basalt rock with seaweed & fish fert) and some coffee grounds (the worms love coffee, come to think of it, so do I). Remember, that onions like a soil which is rich in organic matter with good drainage … I usually have my red onions in the soil well and truly before now, so I suspect that we won’t be eating these until 2014! If you were wondering about my peas, at last they have grabbed the steel frame and are clambering up it. Good! 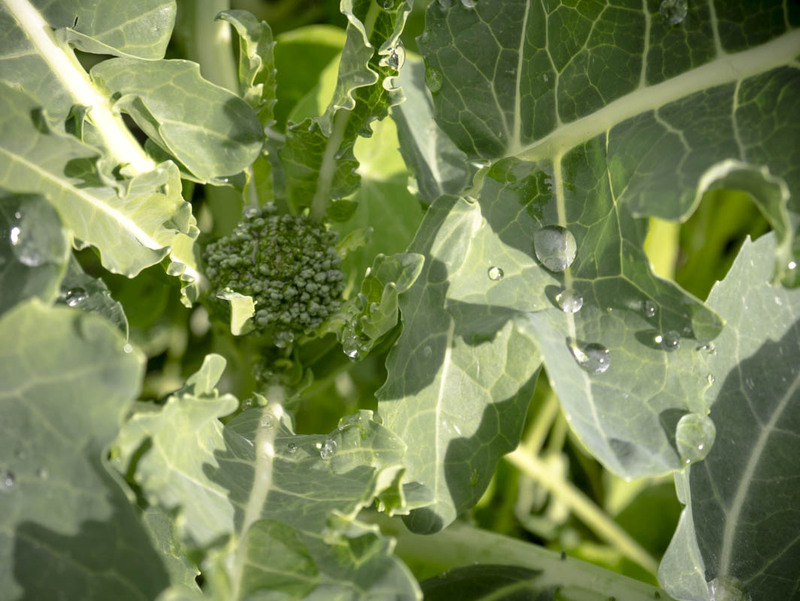 As for those brassicas in the same garden, those big gorgeous hunks of greenery with massive leaves, well one of them is sprouting a tiny broccoli … woohoo! First of the season. Might be the last though, as 2 chooks were spotted this morning having a morning ‘catch up’ on the wrong side of the fence! Oh dear ..
Oh my … a broccoli! That’s it from me. Happy gardening! This entry was posted in Bed preparation, Chickens, Chilli, Garden Update, Garlic planting, Organic gardening in New Zealand, Raised beds, Seedlings and tagged brassicas, broccoli, Egyptian Tree Onions, garlic planting, organic material, preparing raised beds for planting, raised beds, red onion seedlings, walking onions. Bookmark the permalink. 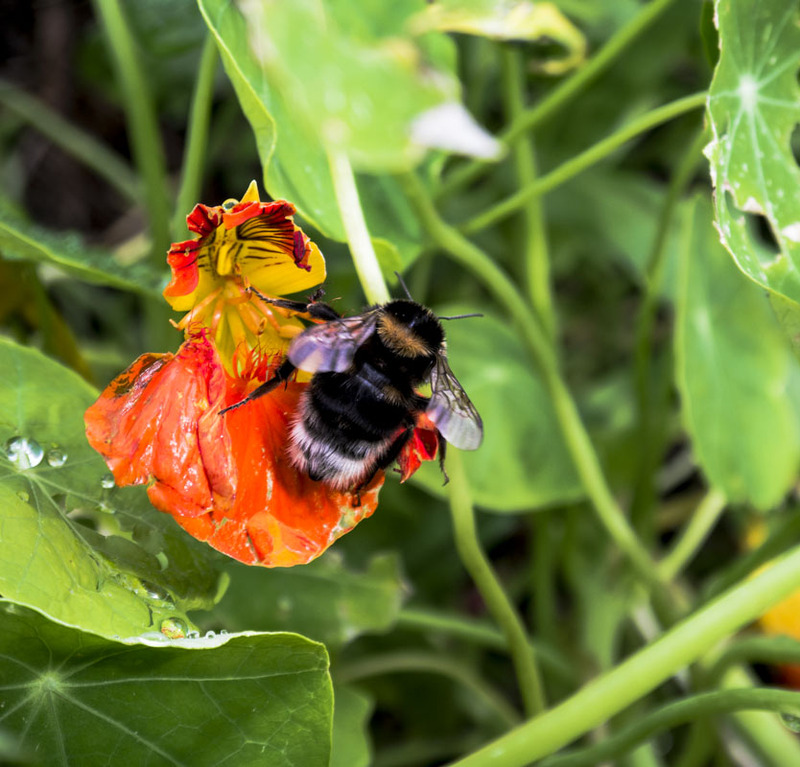 Love your blog Ms Frog Pond Farmer! Nice mix of text and photo’s, and even though I’m not a gardener myself, I enjoy learning about the heritage plants you are growing. Keep up the good work! Thank you Lizzie .. so nice to get feedback, doesn’t matter that you aren’t a gardener. You just might surprise yourself one day, I did! You know I always read your blog, Jules! You’re very knowledgeable. 🙂 My favourites are the chook stories, though . . . Love me some chookies. Hey Nadine … glad you like the blog! Chooks are my favourites too when they keep out of my garden! 🙂 Love them to bits .. always want to get more! Hey Merryn … I’m really blushing now. Thousand thanks .. so nice to know that people enjoy my blog. Even though I’m sure it is ramblings of a nutty gardener! And yes, love taking photos!